Despite how much you may want to escape the hustle of this mad, mad world for a decidedly quieter life, not everyone is lucky enough to have a place to escape to off the grid. 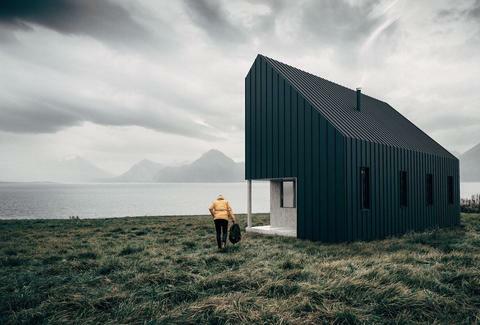 But it turns out your dream of a tranquil existence in the wild may be a lot simpler and affordable than you realize, thanks to tiny prefabricated homes that you can place and assemble in much the same way as IKEA furniture. 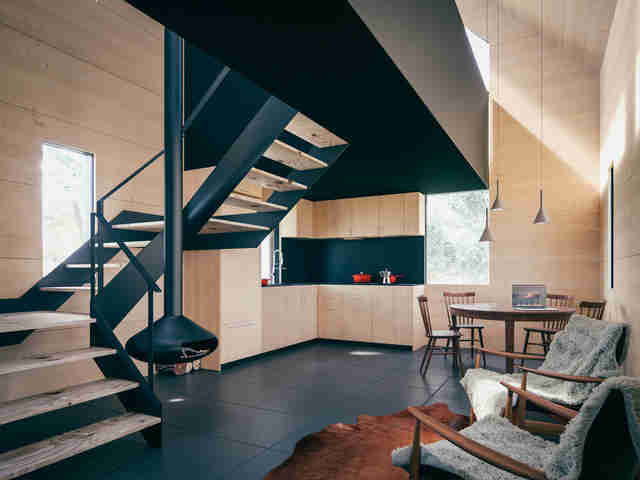 Inspired by the tiny house movement, a company aptly called the Backcountry Hut Company will help you customize remote abodes from the ground up, using its pentagonal prefabricated structures as your basic framework. Essentially, you can outfit a mini living space inside a single one of its modules, or combine up to four of them to create a roomier retreat. Once all of the customized components of your new pad are created, they're fashioned into flat-packed pallets, which you can easily schlep on a truck to whatever parcel of land you plan to build on and assemble it together with a few friends -- the process doesn't require any heavy machinery. It's basically like convincing your buddies to help you set up a new living room full of IKEA furniture, except when all is said and done, you have a brand new house to spend the weekends at rather than just a set of shelves and a sofa. In terms of size, a single module affords you 191 square feet of living space, which can fit between two and four people. 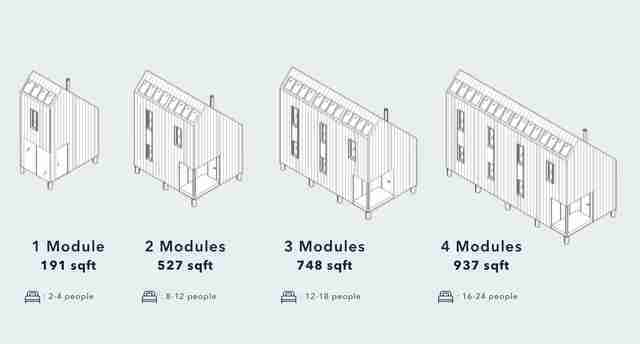 Four modules together will score you up to 937 square feet, and enough room to sleep up to 24 people, depending on how you want it arranged. As far as design goes, the huts are as minimal as they are small. They have a distinctly modern aesthetic, complete with vaulted ceilings and panoramic windows, which may or may not help make the place feel bigger sometimes. Prices will vary depending on the size and amenities you choose, but a one-module setup will set you back somewhere in the $40,000 range. 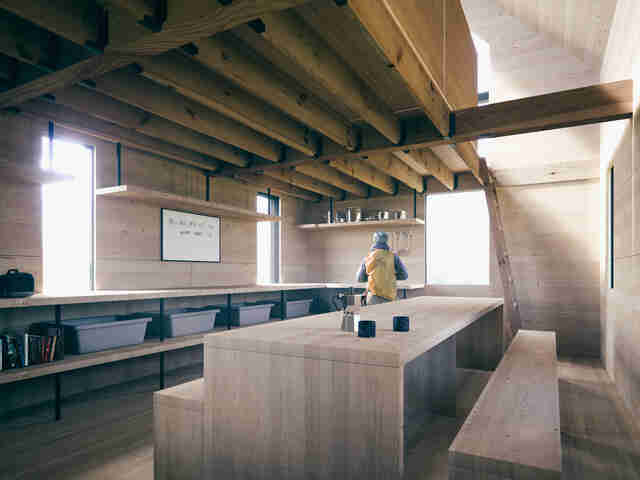 The company will engineer anything from a hyper-minimalist surf shack to a cabin-esque structure with a dining area, kitchen, and lofted bedroom. However, you’ll need to account for the cost of integrating plumbing, heating, and electricity, since those aren't included. Basically, owning a home -- no matter how small -- doesn't come cheap or without additional expenses. Finding land on which to build the place is a whole other animal in itself. 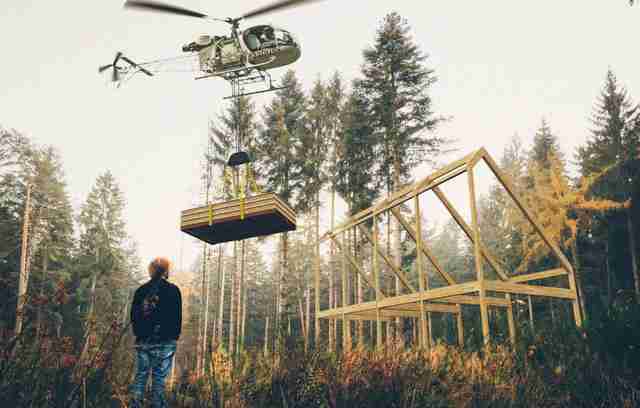 In case you're wondering, the tiny homes aren't just designed for the middle of nowhere. If you're just looking for a new and affordable space in the city, the company's down to help you figure that out, too. In fact, it also specializes in what it calls "Frontcountry" housing. It's based on the same sort of module framework, but designed to function as a sleeker alternative to traditional affordable housing units, and with minimal construction costs. Just have fun assembling an entire home like a piece of IKEA furniture... then assembling all the actual IKEA furniture you bought to put it in. Hopefully, you'll have more than just an Allen wrench to work with.